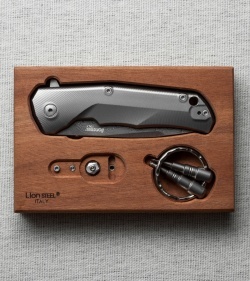 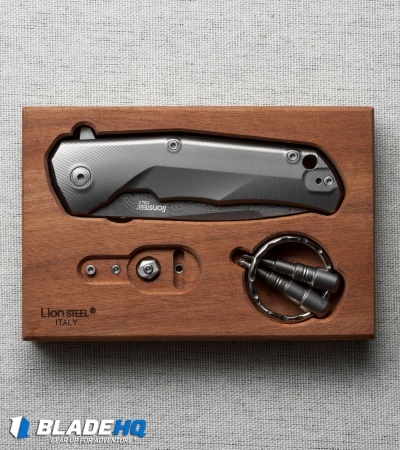 The LionSteel Three Rapid Exchange knife offers a lightweight design that is ideal for everyday carry. It has a slim profile and a titanium frame that maximizes comfort in the pocket and hand. The TRE features a patented flipper system that allows the user to switch between a removable flipper or thumb disc. 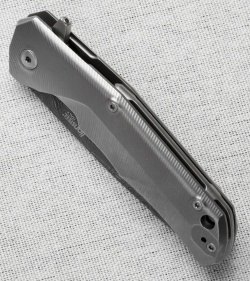 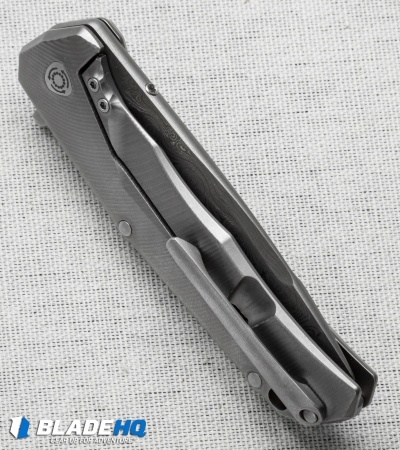 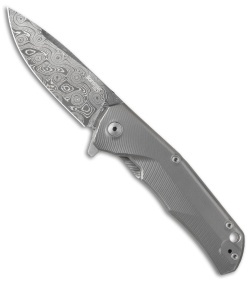 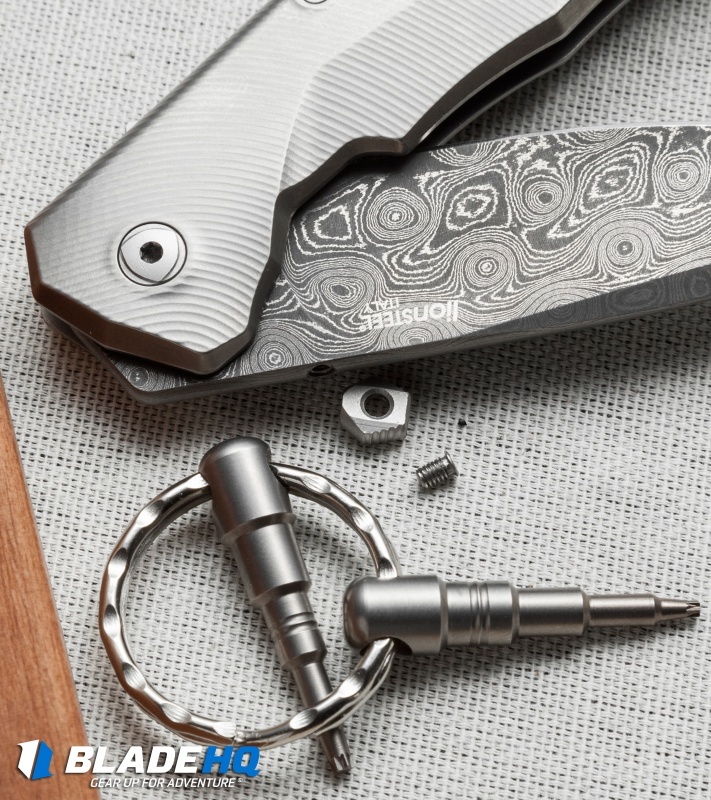 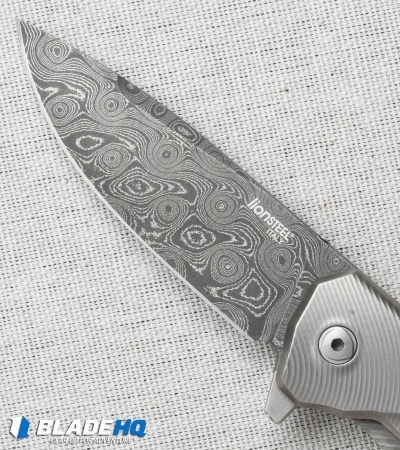 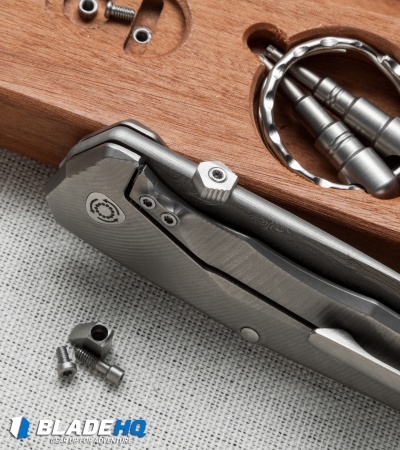 This model comes equipped with a damasteel blade and a titanium frame lock handle.